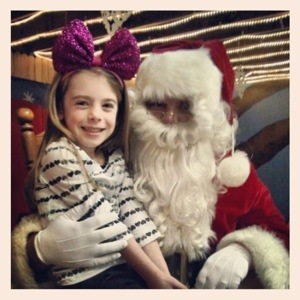 Seeing the bright smiles of our kids is something that parents love to see at Christmas. Right? How could you not melt at seeing that big smile? Kids are ready for Santa at the drop of a hat. But there is something bigger than Santa that we teach our kids about at Christmas. Something worth waiting for, something that is more than anything the jolly, old fat dude can offer us. Soon after Jesus is born, his folks take him up to the Temple to be dedicated and circumcized. (OUCH!). Inside they meet two crazy old cooks named Simeon and Anna. These two spent lots of time praying and worshiping in the Temple. When they get their paws on Jesus (what old people at any worship center don’t pick up babies? ), they speak amazing things about Him. They both had been waiting for the Messiah to come and redeem Israel. They had been waiting their entire lives. They speak about how Jesus will divide Israel and bring glory back to God’s people. Mary and Joe walk away with their mouths hanging open. Advent is a time to celebrate Jesus’ birth, yes. But also, it’s a time to ready ourselves for Christ’s return–spiritual then physical return. It’s a time to prepare room in our hearts for God’s presence and leadership in our day to day lives. God did some big things at the first Christmas. He can do big things again…but there seems to be some waiting involved. The waiting helps us get ready, ironically enough. Are you ready for God to do something big in your life? 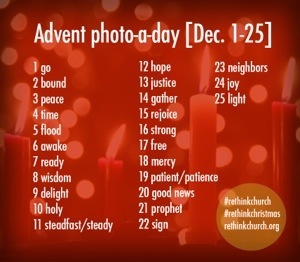 This entry was posted in Advent, Christmas, faith and tagged Advent, Christmas, faith. Bookmark the permalink.